If you are interested in joining the SVCA, we look forward to welcoming you to our association. Everyone is invited to attend our monthly meetings which are held on the first Wednesday of every month (except July) at the Bonita-Sunnyside Library’s Community Room at 7pm. Contact us with any additional questions, and we thank you for your support! Membership starts at just $15, with additional membership levels available depending on your contribution level. After submitting your application, an associate will follow up with membership information and payment options (check or cash payments are accepted in person only). 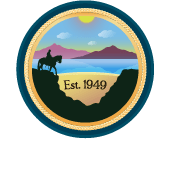 Thank you for your interest in the Sweetwater Valley Civic Association, and welcome to the family! If you prefer to mail your application or drop off in person, please download and fill out the membership form here.